Lake Louise, named Lake of the Little Fishes by the Stoney Natoka First Nations people,is a glacial lake within Banff National Park in Alberta, Canada. It is located 5 km (3.1 mi) west of the Hamlet of Lake Louise and the Trans-Canada Highway (Highway 1). 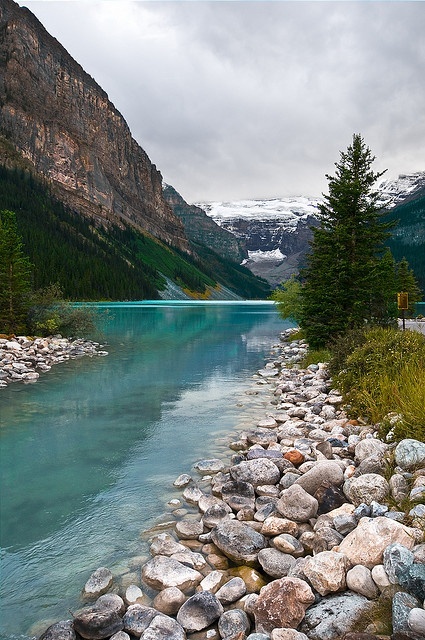 Lake Louise is named after the Princess Louise Caroline Alberta (1848–1939),the fourth daughter of Queen Victoria and the wife of the Marquess of Lorne, who was the Governor General of Canada from 1878 to 1883. Fairmont's Chateau Lake Louise, one of Canada's grand railway hotels, is located on Lake Louise's eastern shore. It is a luxury resort hotel built in the early decades of the 20th century by the Canadian Pacific Railway. Moraine Lake and Lake Agnes are also accessible from Lake Louise.